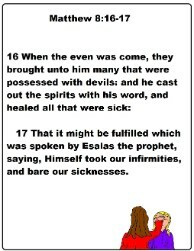 23And Jesus went about all Galilee, teaching in their synagogues, and preaching the gospel of the kingdom, and healing all manner of sickness and all manner of disease among the people. 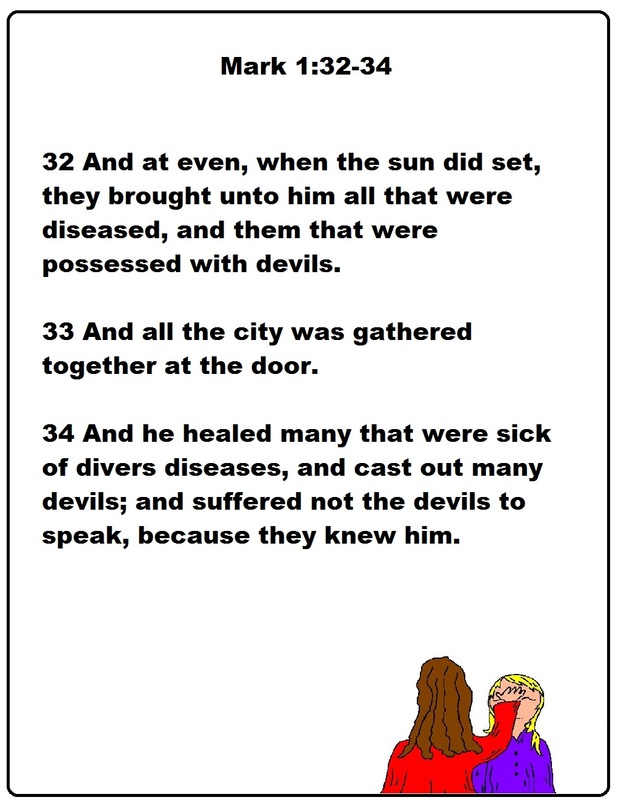 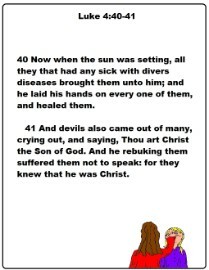 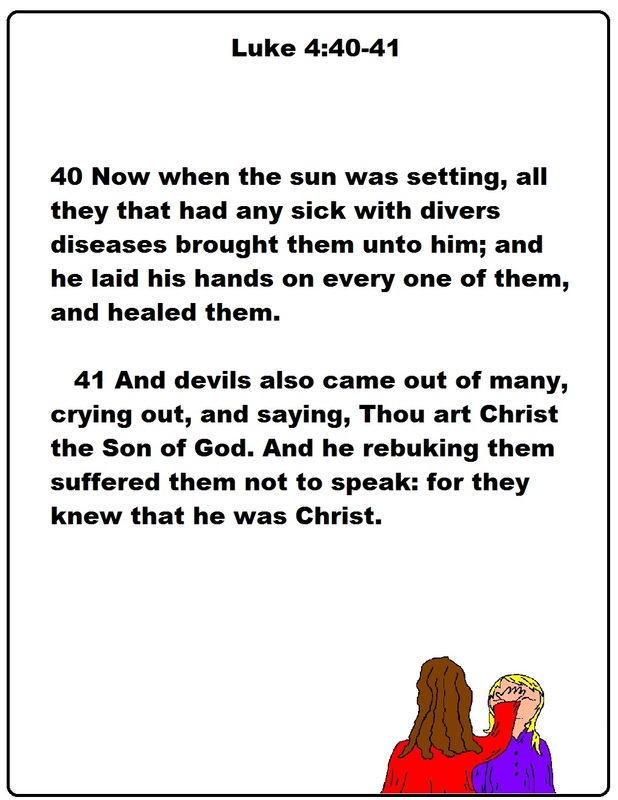 24And his fame went throughout all Syria: and they brought unto him all sick people that were taken with divers diseases and torments, and those which were possessed with devils, and those which were lunatic, and those that had the palsy; and he healed them. 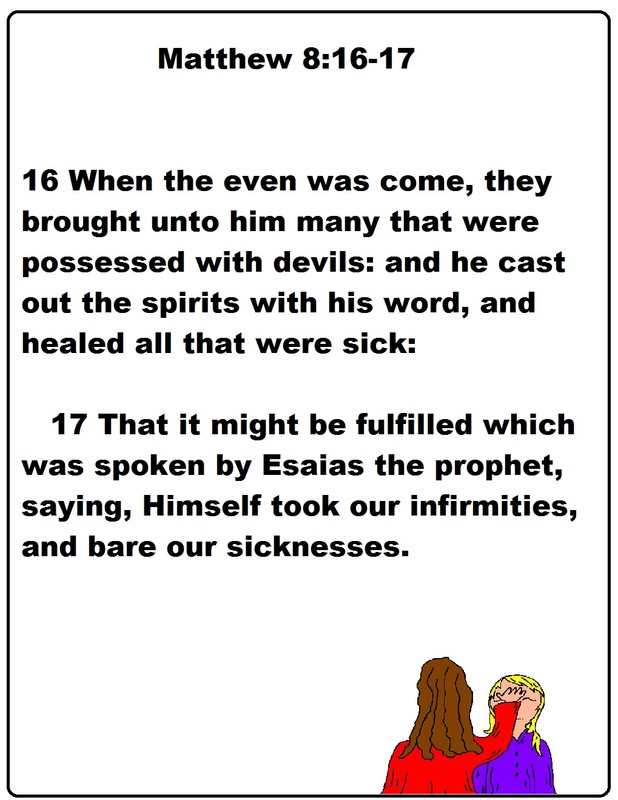 16When the even was come, they brought unto him many that were possessed with devils: and he cast out the spirits with his word, and healed all that were sick: 17That it might be fulfilled which was spoken by Esaias the prophet, saying, Himself took our infirmities, and bare our sicknesses. 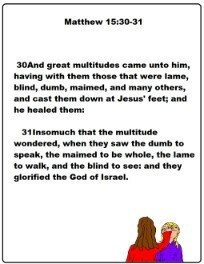 30And great multitudes came unto him, having with them those that were lame, blind, dumb, maimed, and many others, and cast them down at Jesus' feet; and he healed them: 31Insomuch that the multitude wondered, when they saw the dumb to speak, the maimed to be whole, the lame to walk, and the blind to see: and they glorified the God of Israel.